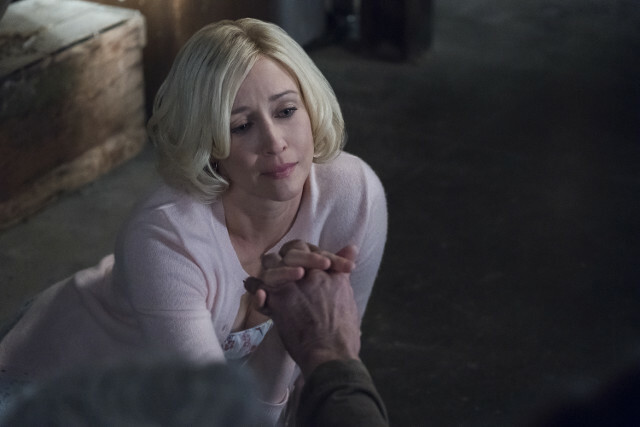 Caleb (Kenny Johnson) returned to White Pine Bay on the latest episode of Bates Motel. He quickly discovered that Norma (Vera Farmiga) had died a year earlier and went to visit her grave. 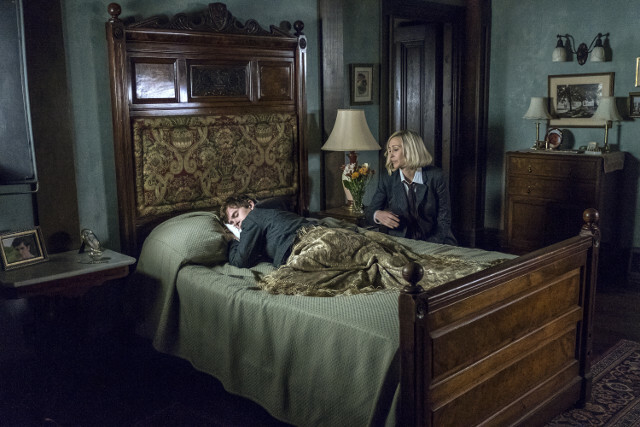 Caleb went back to the Bates Motel to confront Norman (Freddie Highmore), sure that he murdered Norma and discovered Norma’s frozen corpse in the basement of the house. Norman dressed as Norma caught and attacked him as Chick (Ryan Hurst) looked on. Meanwhile Norman went to dinner with Madeleine (Isabelle McNally), Sam (Austin Nichols) and a female friend of theirs. Norma followed Norman to the restaurant and the two had an argument in the bathroom. 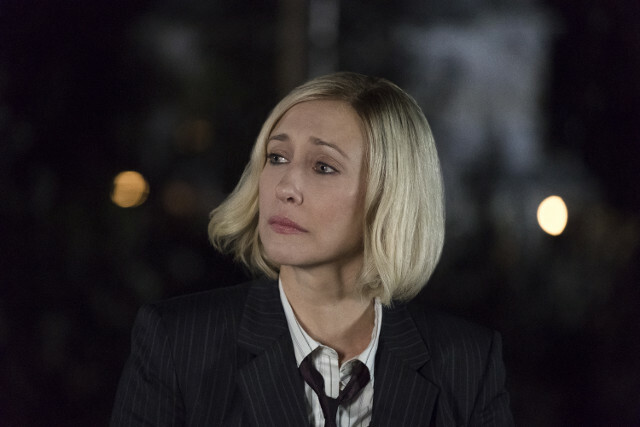 Elsewhere Chick made a business proposition to Norman and Romero (Nestor Carbonell) vowed to come after Norman when he was visited by his step-son in prison. The next episode of the season is Bad Blood. Norman helps Chick with a project, Romero makes his move and Madeleine reaches out to Norman.